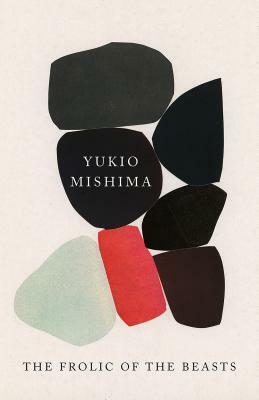 Translated into English for the first time, a gripping short novel about an affair gone wrong, from the acclaimed Japanese author, Yukio Mishima. compels him to action in a way that changes all three of their lives profoundly. Originally published in 1961 and now available in English for the first time, The Frolic of the Beasts is a haunting examination of the various guises we assume throughout our lives, and a tale of psychological self-entrapment, seduction, and murder. Yukio Mishima was born in Tokyo in 1925. He graduated from Tokyo Imperial University's School of Jurisprudence in 1947. His first published book, The Forest in Full Bloom, appeared in 1944 and he established himself as a major author with Confessions of a Mask (1949). From then until his death he continued to publish novels, short stories, and plays each year. His crowning achievement, the Sea of Fertility tetralogy—which contains the novels Spring Snow (1969), Runaway Horses (1969), The Temple of Dawn (1970), and The Decay of the Angel (1971)—is considered one of the definitive works of twentieth-century Japanese fiction. In 1970, at the age of forty-five and the day after completing the last novel in the Fertility series, Mishima committed seppuku (ritual suicide)—a spectacular death that attracted worldwide attention.